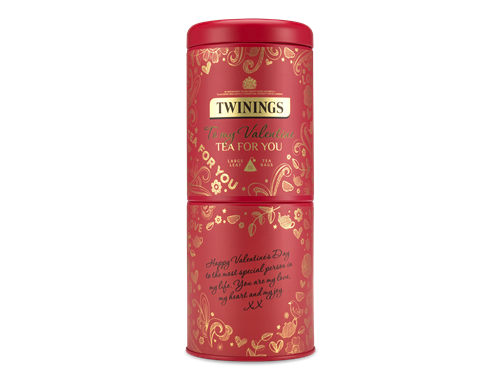 TEA STREET Blog: Valentine's Day Personalised Tea Gift! Valentine's Day Personalised Tea Gift! 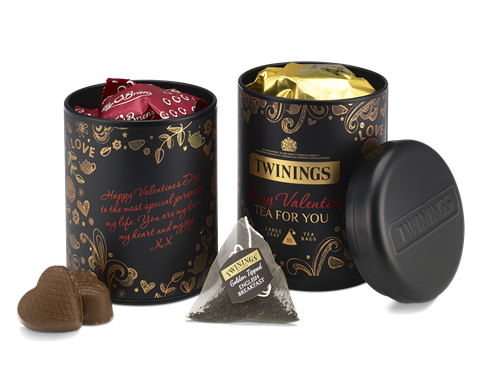 Anyone who knows me knows how much I love personalised gifts and therefore these Twinings tea and chocolate gift caddies are right up my street (tea street!) as you can add your own Valentine's Day message to the caddy! There's free delivery on Valentine's gifts, but they have to be ordered by the 5th February so you have to be quick! 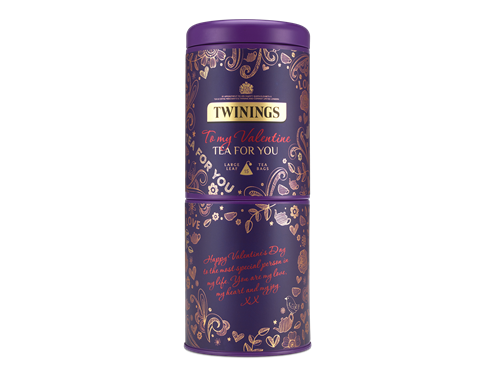 the top tin of this gift duo contains 15 Loose Leaf Pyramid Tea Bags of Berry Blush infusion. Berry Blush intoxicates your senses with an exotic blend of deep, sweet rosehip and African hibiscus with the summer fruits of raspberry, blueberry and blackcurrant. The top tin of this gift duo contains 15 Loose Leaf Pyramid Tea Bags of Golden Tipped English Breakfast. A strong and bold blend with a refined, rounded body. The top tin of this gift duo contains 15 Loose Leaf Pyramid Tea Bags of Garden Rose. Rose Garden Black Tea was created by our master blenders and is inspired by the heady, warm days of summertime – the smattering of rose petals in this black tea will transport you to an English country garden, on a summer’s afternoon, air thick with the scent of roses.